Are you working with a Software Development Company in India and you want to decide Kotlin and Flutter for your upcoming project? In this article, we’re going to briefly compare both software as simple as possible and give you a better understanding of both so you can decide which one suits you better. If a company decides to develop an app using the Native approach, they will need to manage two different code bases, one for iOS and one for Android, they, however, have to design the same UI for both platforms. This is why to save time and effort, many App Development Companies India firms use cross-platform development. 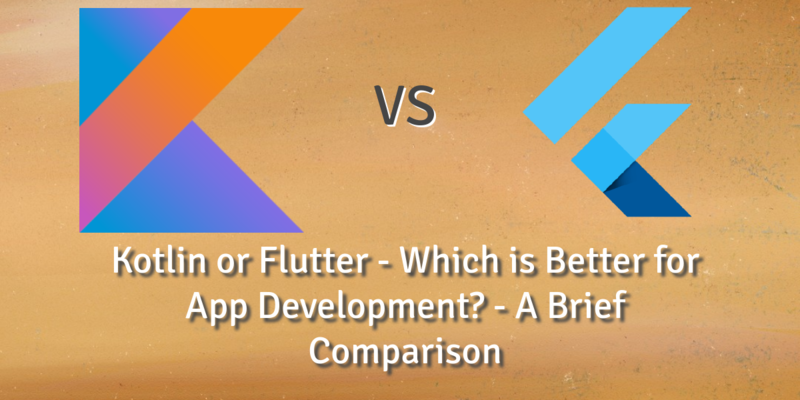 It is quite tricky comparing Kotlin and Flutter because while flutter is a Software development kit (SDK), Kotlin is a programming language. This means that flutter contains several tools and also has its own programming language: DART. Kotlin is basically a programming language, in fact, it is a statistically typed programming language with all the features of any modern programming language. Kotlin not only supports both functional and object-oriented features it can also use Java code and libraries and do all these without needing a virtual machine. As a developer, it is possible for you to develop apps for the iOS platform using Kotlin Native Framework, designed for cross-platform development using Kotlin programing language. Although Kotlin was developed by JetBrains, it is now backed by Google for android development. This means that Kotlin has the potential for multi-platform programming, one of Kotlin’s major advantages is that it requires a lot fewer code lines when compared to java. Kotlin also has a huge developer community which means it has more support systems. Supports features of OO programming language and functional programming. Supports smart casting, Lambdas, and higher-order functions. Flutter is an open source software development kit (SDK) developed by Google meant for developing native experience apps for both major mobile platforms: Android and iOS. Flutter is used to develop apps using DART programming language. DART shares some similarities to Kotlin as well as some other modern programming languages like AOT (Ahead of time compilation) and JIT (just in time compilation). Flutter, however, does not have a large developer community hence there is still relatively limited support for it. Apps developed on Kotlin are usually native apps which run only on the Android operating system and no other. Flutter SDK on the other hand fully support cross-platform development. 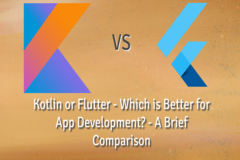 It is quite inappropriate to choose between Kotlin and Flutter because if you examine their features, you can see that Kotlin is perfect for some App development projects, while flutter is better for other app development projects, and as such, neither is better or worse, it all depends on the nature of your next app development project, Kotlin may be ideal, Flutter may be better.